Denna produkt ger dig 438 bonuspoäng. Vagnsset med 2 godsvagnar typ Hccrrs332 DB AG / DB Schenker, totallängd över buffertar 171 mm, epok VI. 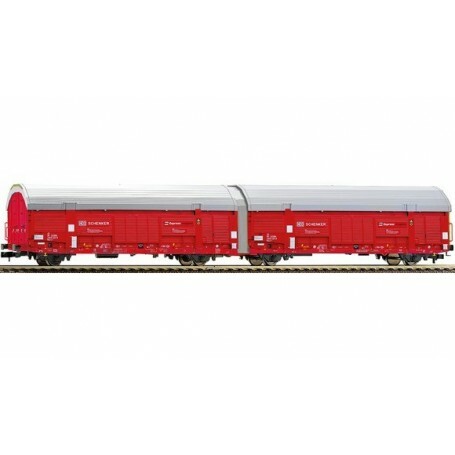 2 piece set car transport wagon type Hccrrs332 of the DB AG/ DB Schenker. Epoch VI. The vehicle has a different running number than 837405. Coupler pockets according to NEM 355 standards with close coupler motion link on each side of the vehicle.